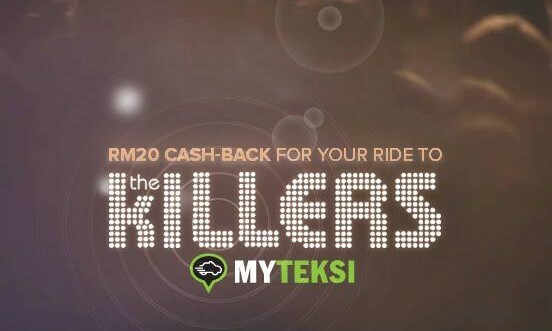 This weekend, MyTeksi will be offering RM20 cash-back for all taxi rides booked via the app to The Killers concert anywhere from Klang Valley, Cyberjaya and Putrajaya. “Malaysia’s big events are what MyTeksi was made for,” said MyTeksi’s regional marketing head, Cheryl Goh. The partnership is part of its aim to curb problems most Malaysians have with getting a safe public transport and to make itself part of Malaysia’s young new cultural fabric. To address educational disparity and poverty, Uniqlo together with Novak Djokovic, world’s top-ranked tennis player and its global brand ambassador are working together in five projects around the world under the Clothes for Smiles initiative. The community outreach initiative aims to help disadvantaged children by building libraries and vocational centres in developing countries. The initiative was initiated in October 2012. Online social e-commerce site LivingSocial Malaysia has launched a nationwide three-month long campaign as part of its CSR initiative to garner contribution from customers. It is collaborating with the World Wide Fund for Nature (WWF) – Malaysia and is aimed to raise funds to protect the country’s marine turtles. LivingSocial subscribers are also being engaged for this campaign via social media channels along with the e-newsletter blast. Members of the public can help safeguard one of Malaysia’s iconic heritage by simply donating RM 10. Dentsu-Toyota fiasco: Are media agencies on the verge of losing clients’ trust? Are media agencies, which many say have long stolen the spotlight from creative agencies, now having a moment of crisis?..